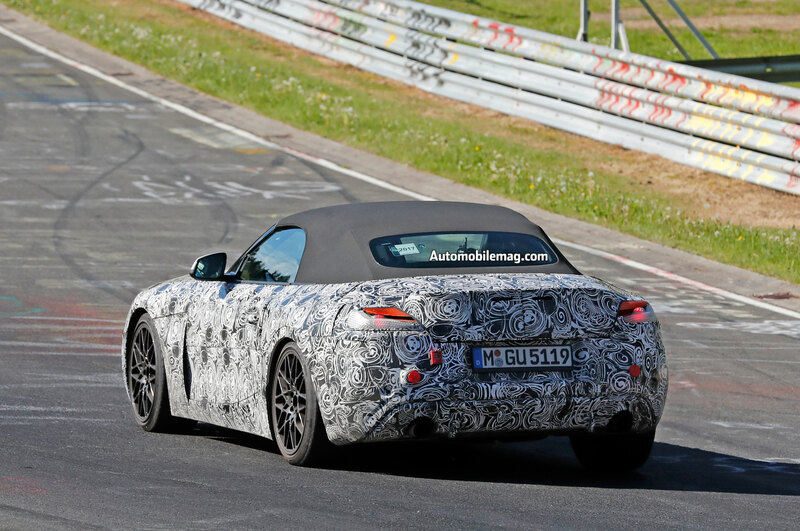 Our spy photographers have caught the upcoming BMW Z4 successor testing with its interior uncovered. 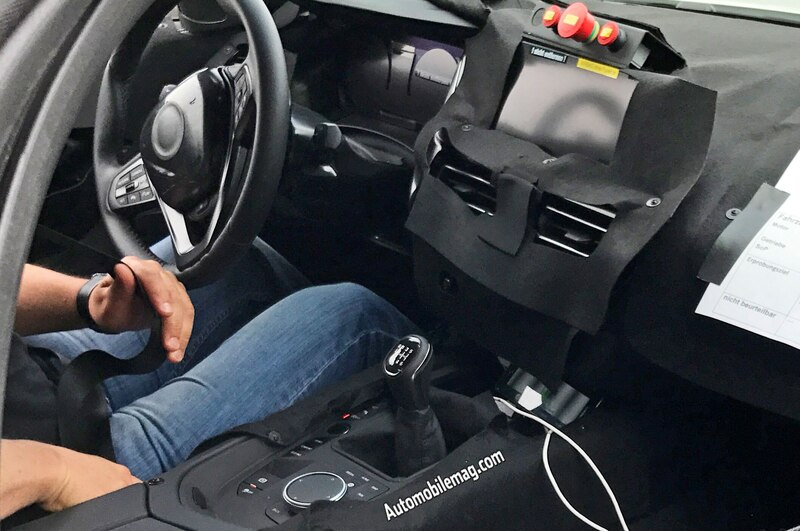 Like the newest BMW models, the roadster will feature a similar interior design with the latest iDrive system featuring a freestanding touchscreen. An updated control section near the gearshift features flatter buttons and what appears to be a larger knob with a touchpad on top. The steering wheel is also new and looks similar to the one found on the new 5 Series sedan. 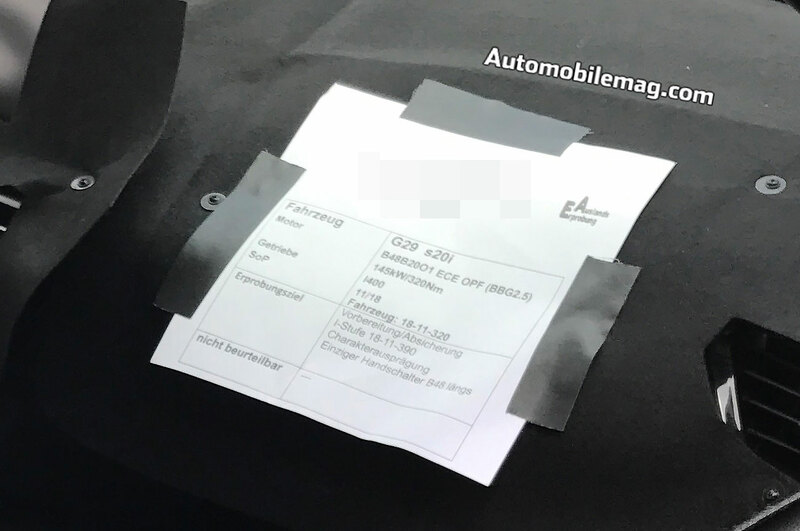 Inside the cabin, there’s a sheet taped on the dash that shows some key info, including the Z4 successor’s model code, G29, and the engine found in this prototype, which is the new B48 2.0-liter turbo-four used in everything from the Mini Cooper S Hardtop to the BMW 530i. This particular model features a version, dubbed the “S20i,” rated at around 194 hp and 236 lb-ft of torque. For the U.S., however, it’s likely that we’ll receive the 30i variant, which is the same engine rated at 248 hp and 258 lb-ft in the 230i, 330i, and 530i. 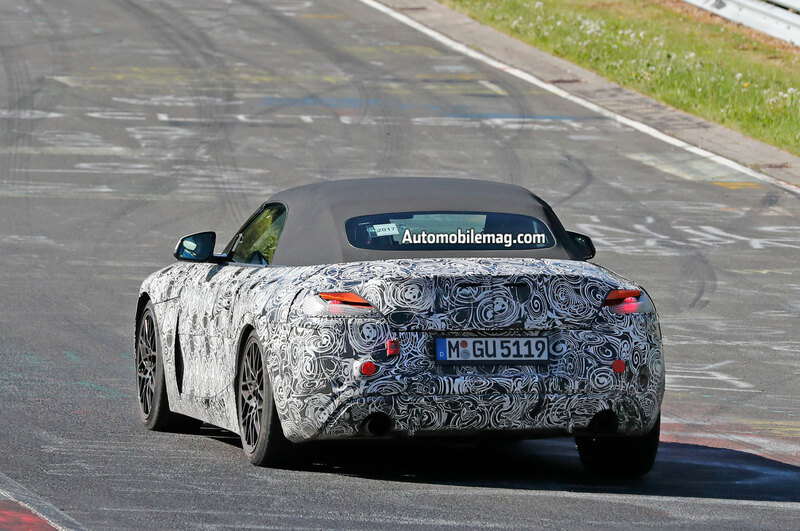 In addition to the four-cylinder variant, the Z4 successor should also include a six-cylinder-powered M40i model that may utilize the same 335-hp 3.0-liter turbo I-6 found in the M240i and 540i. 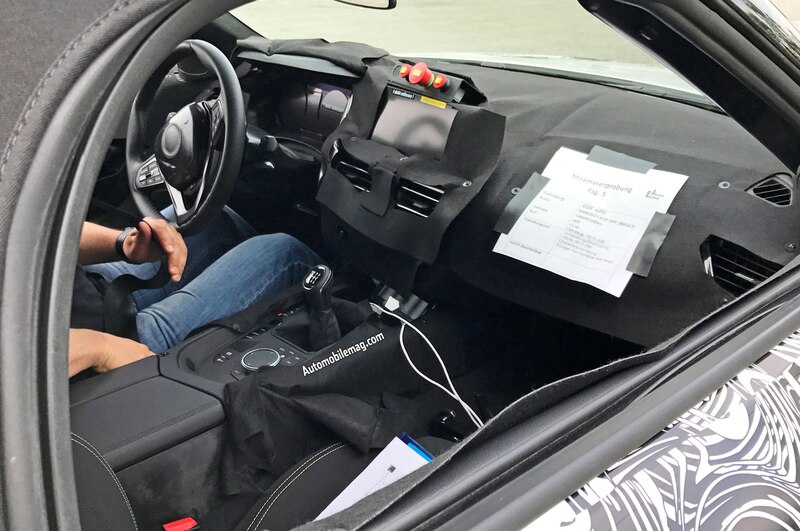 Although the prototype we spied featured a six-speed manual transmission, expect the U.S.-spec model to come exclusively with the ZF-sourced eight-speed automatic transmission. 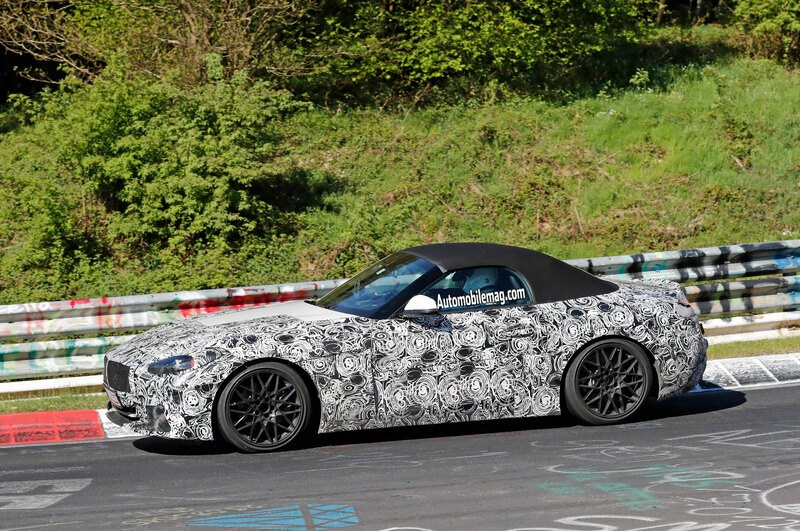 If a row-your-own option does become available in the upcoming Z4 successor, it’ll likely be limited to the base four-cylinder variant. 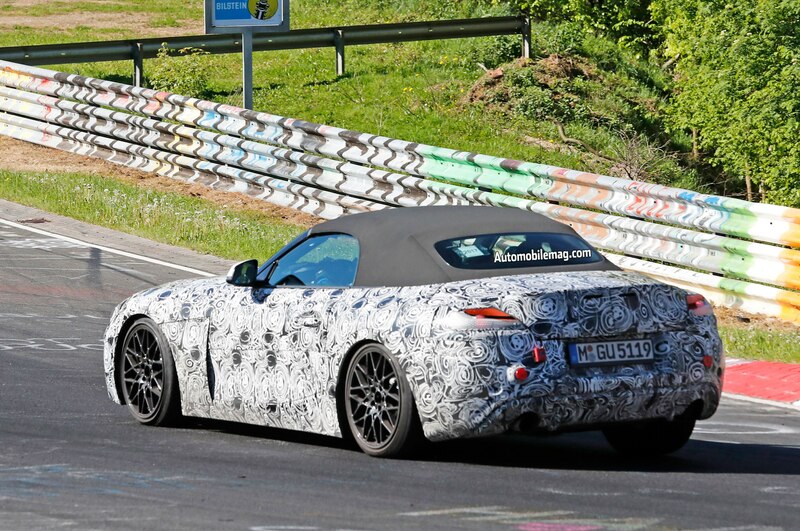 As we reported earlier, the successor to the Z4 will ditch the complex power retractable hardtop in favor of a simpler soft top roof. This should help drop the car’s curb weight, which will likely result in improved performance, handling, and fuel economy. 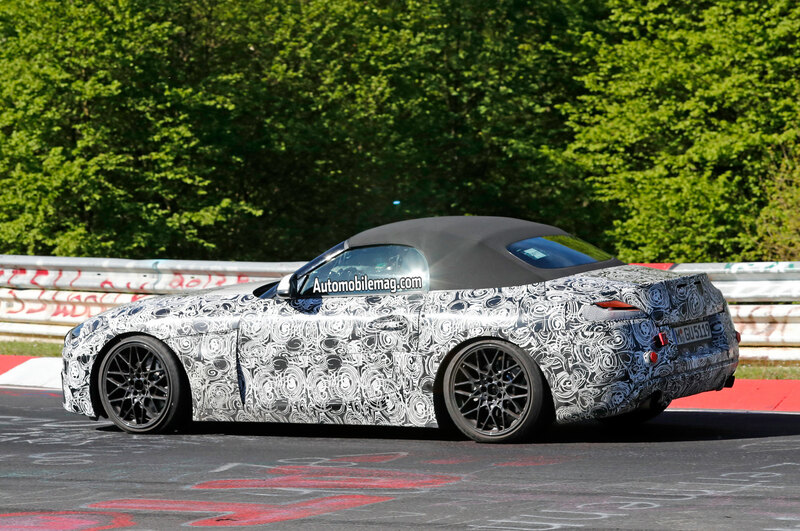 Co-developed with Toyota, the Z4 successor, which may once again be called the Z4, will be the sister car to the upcoming Supra coupe. 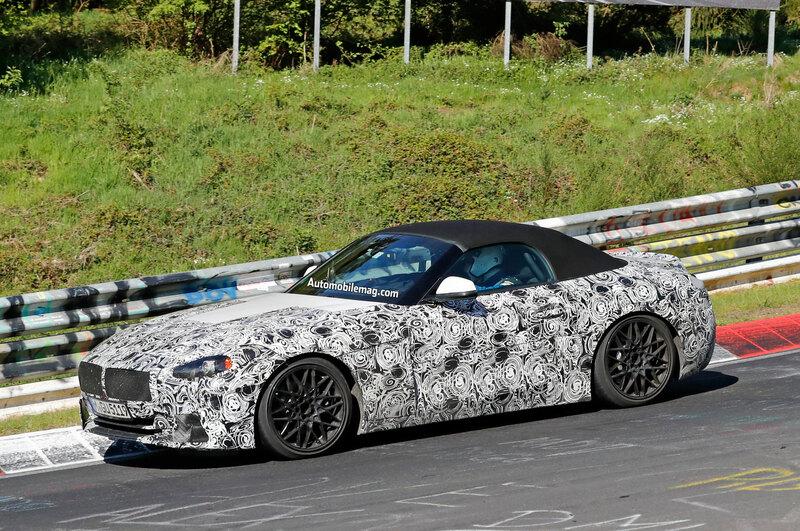 Both cars will likely be produced alongside each other at the Magna Steyr facility in Austria.